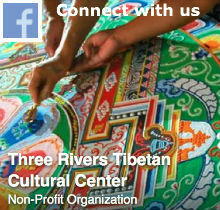 Three Rivers Tibetan Cultural Center will host an anniversary celebration of the visit of H.H. Dalai Lama to Pittsburgh 20 years ago! Ven. 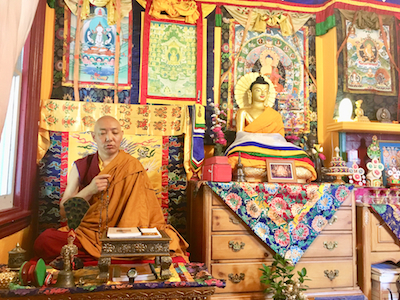 Khenpo Choephel, spiritual director of TRTCC, will lead the traditional Long Life Puja, a special ritual practice that contains Mandala offering, Tsok or food offering, and long life recitation mantras and prayers for H.H. Dalai Lama. We will celebrate with a simple vegetarian lunch offered by our sangha members and then watch a video of Dalai Lama’s teaching on the Heart Sutra, the one that he gave on November 12, 1998, at the Heinz Hall. Our door is open to all who have a genuine interest in practicing with us. There will not be an admission fee but your donations will keep us going and enable us to offer our cultural programming year round. We thank you for your supports. LOCATION: Three Rivers Tibetan Cultural Center. The life of Buddha Shakyamuni in the 5th Century BC exemplifies the enlightening path that heals and transcends human suffering. BUDDHA means “the awakened one”, “the enlightened one”. 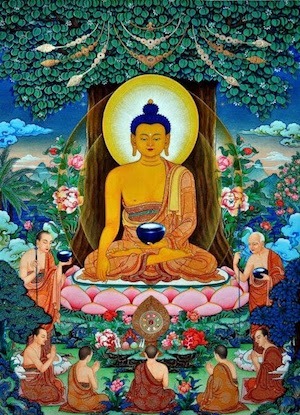 His teachings on the accumulation of beneficial actions (Merits), and meditative concentration to realize our innate pure nature (Wisdom), are the foundation of Buddhism philosophy and practices. 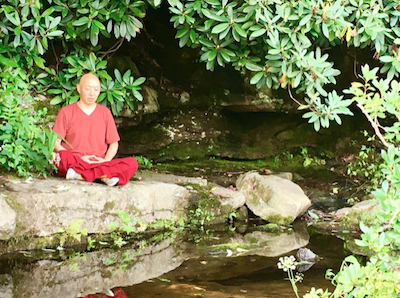 The Venerable Khenpo Choephel, spiritual director and resident teacher of Three Rivers Tibetan Cultural Center, will give a public talk on Friday, September 28, at the Sixth Presbyterian Church of Squirrel Hill on the topic of why a spiritual path is important and what this spiritual path is. Khenpo Choephel is a Tibetan Lama originally from Tibet. He has been the spiritual director and resident teacher of TRTCC since November 2011. Ordained at an early age in Tibet, Khenpo Choephel has received precious teachings from many great spiritual masters in Tibet, India and Nepal. He has served for over 30 years as a dharma teacher, ritual and chant master, spiritual director and retreat master in monasteries and dharma centers all over the world. He leads weekly meditation practices and offers special teachings on foundational and advanced topics in Tibetan Buddhism. To many of us, a spiritual path is our way of trying to figure out the meaning of life, a way to reach a deeper understanding of oneself amid all the chaos and pain that life has brought on to us. Is it about the searching for the light within? Is there a universal principle that can help us see the same goodness in all of us despite our differences? What guidance can we have to help us deal with social ills and injustices? What actions can we take to turn this life a useful and beneficial one? How do we free ourselves from distracting thoughts and destructive actions? Can a life with peace and happiness be attainable and sustainable? There will be a Q&A session at the end of Khenpo’s presentation. We invite you to join us and be part of this conversation. Share with us your observation or insight. This event is free and open to all. No registration is necessary. Donations to support TRTCC’s cultural and educational events are heartily appreciated as always. Please help us pass the word so more interested people can attend. We look forward to seeing you there. Wednesday September 5 which coincides with the 25th day of the seventh month of the Tibetan lunar calendar is known as Vajrayogini day, or Dakini day of the month. 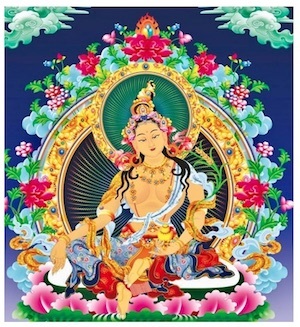 The Venerable Khenpo Choephel is offering a special practice on PHOWA at 7pm that day instead of our regular Green Tara practice. PHOWA (transference of consciousness) is a method of training to help practitioners face death fearlessly and compassionately for oneself or others whether the signs of death are distant or proximate. Over the years our sangha has received transmission and teaching of PHOWA and Amitabha Dewachen practice from many teachers. Khenpo is offering this practice on Wednesday as a way to help us familiarized with this important practice. This practice is open to everyone who would like to learn about or further deepen your PHOWA practice. We do not have a suggested donation. Please give as you feel fit. We appreciate your continual support to further our mission to cultivate compassion and wisdom through dharma teachings and meditation practices. 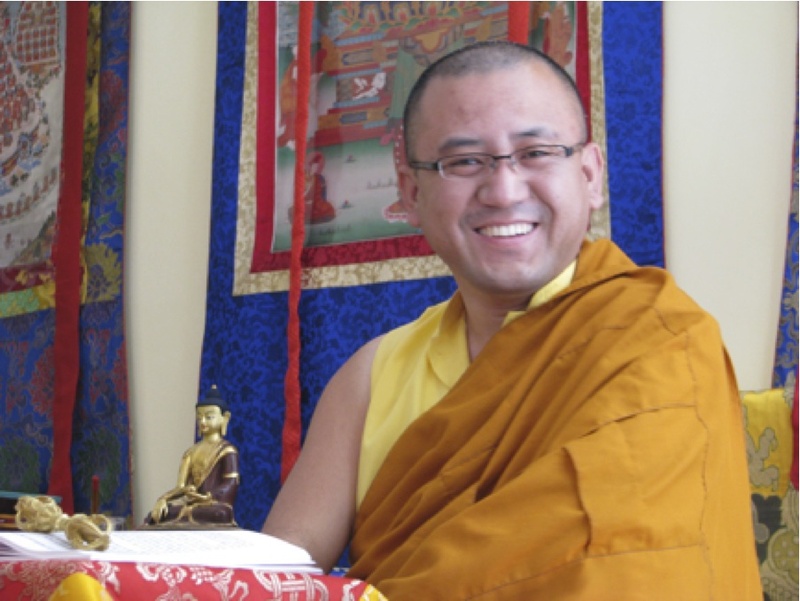 The Venerable Tashi Nyima is an ordained monk in the Jonang lineage of Vajrayana (Tibetan) Buddhism, and leads the Universal Compassion Buddhist Congregation, with Sanghas in Texas, Mexico, and Argentina. For more than three decades, Lama Tashi has shared the Dharma in North and South America, Europe, and Asia. 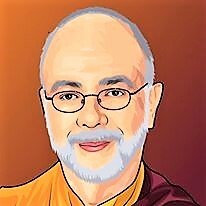 Known for his directness, clarity of expression, and sense of humor, Lama Tashi shares the Dharma in fluent English and Spanish. In this brief talk, the Ven. Tashi Nyima will explore Pure Land practice as the gate to the Way of the Bodhisattva, as well as the practice of Powa (transference of consciousness) in Tibetan Buddhism as an integral practice at the time of death. As a way to further explore and deepen our understanding of the practice of Powa at the time of death, the Ven. Tashi Nyima will discuss issues concerning the death process, such as medication for pain, prolongation of life, removal of support, assisted suicide, organ donation, embalming, and the medical power of attorney. Suggested donation is $10 for the Friday talk, $30 for each day Saturday and Sunday. Your donations will support TRTCC’s many teaching and cultural events year round. No one will be turned away for insufficient funds. 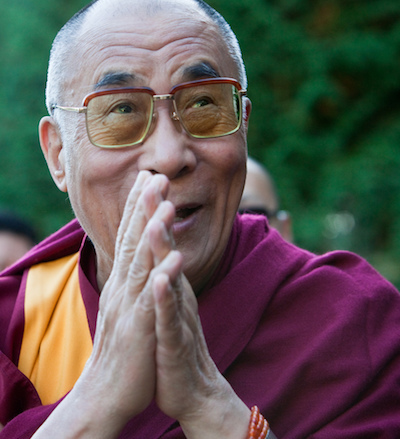 His Holiness Dalai Lama is the spiritual leader of the Tibetan people committed to promoting human values such as compassion and love, and to enable understanding and harmony among all religions. He has been working in great effort on preserving Tibetan Buddhist culture of peace and non-violence. Living a disciplined life for the benefit of all living beings for decades, he is still strong and healthy at age 83. He said he is looking forward to another 15, 20 years, continuing to promote a sense of oneness of the 7 billion human beings on this Earth. The best way to ensure that when we approach death we do so without remorse is to ensure that in the present moment we conduct ourselves responsibly and with compassion for others. Actually, this is in our own interest, and not just because it will benefit us in the future. As we have seen, compassion is one of the principal things that make our lives meaningful. It is the source of all lasting happiness and joy. And it is the foundation of a good heart, the heart of one who acts out of a desire to help others. Through kindness, through affection, through honesty, through truth and justice toward all others we ensure our own benefit. This is not a matter for complicated theorizing. It is a matter of common sense. There is no denying that consideration of others is worthwhile. There is no denying that our happiness is inextricably bound up with the happiness of others. There is no denying that if society suffers, we ourselves suffer. Nor is there any denying that the more our hearts and minds are afflicted with ill-will, the more miserable we become. Thus we can reject everything else: religion, ideology, all received wisdom. But we cannot escape the necessity of love and compassion. This, then, is my true religion, my simple faith. In this sense, there is no need for temple or church, for mosque or synagogue, no need for complicated philosophy, doctrine, or dogma. Our own heart, our own mind, is the temple. The doctrine is compassion. Love for others and respect for their rights and dignity, no matter who or what they are: ultimately these are all we need. So long as we practice these in our daily lives, then no matter if we are learned or unlearned, whether we believe in Buddha or God, or follow some other religion or none at all, as long as we have compassion for others and conduct ourselves with restraint out of a sense of responsibility, there is no doubt we will be happy. TRTCC’S spiritual director, Ven. Khenpo Choephel is currently out of town teaching. Wednesday, July 11, 2018, at 7pm. 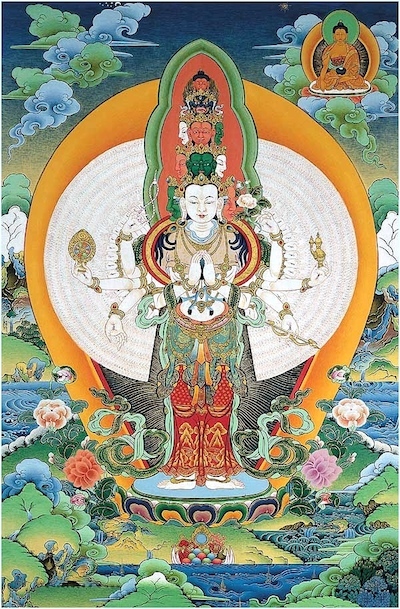 Phowa in the Vajrayana Buddhism practice is a method of training to face death fearlessly and compassionately for oneself and others and transfer one’s consciousness into a pure and peaceful realm of Buddha field. H.E. 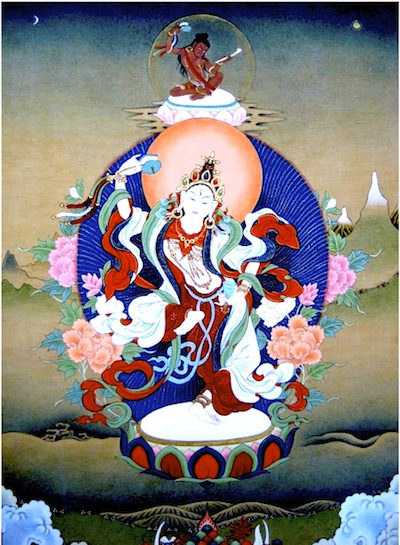 Tritsab Rinpoche will bestow the empowerment and blessings of the female enlightened being Basudhara, also known by the name Lhamo Norgyunma, or Vasudhara, the goddess of wealth. Basudhara is the embodiment of prosperity, wealth, good fortunes and abundance of resources. 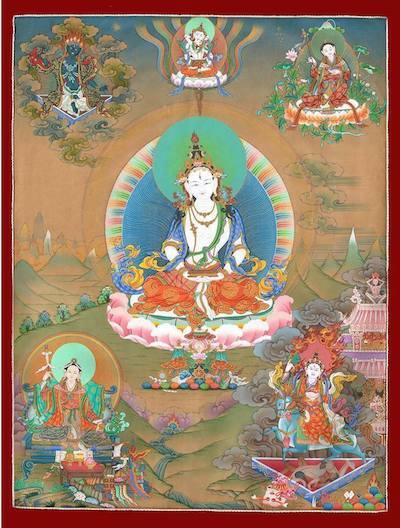 The afternoon will be devoted to the practice of the teaching of Basudhara, the female wealth deity Lhasa Norgyunma with four Zambala retinues led by H.E Tritsab Rinpoche and Ven. Khenpo Choephel, with prayers, mantra recitations, visualization, silent meditation and dedication for the benefit of all sentient beings. H.E. Tritsab Rinpoche will perform the Dorje Namjom and Dorje Sempa Cleansing Rituals for all sentient beings and natural environments. These cleansing rituals are performed in the traditional way as a blessing to purify physical and mental defilement or sicknesses of all living beings and to remove contamination of the environment. These include removing obscurations of the mind and violations of moral precepts, and the cleansing of negative energies of evil spirits. The intention is to heal and restore a balanced progress for all sentient beings and the natural environment to function in a wholesome way. The evening is devoted to the special teaching and practice of ACHI CHOKYI DORLMA. As always, your donations to our center will help sustain TRTCC’s many teaching and cultural activities year round. Our heartfelt thanks to your continual supports for TRTCC! No one will be turned away from seeking teaching for lack of funds. Mempa Youlha Tsering will give a brief introduction on the mind-body connection approach of Tibetan Medicine, including perspectives from embryology, pathology and diagnosis of common disorders such as insomnia, depression and fibromyalgia. 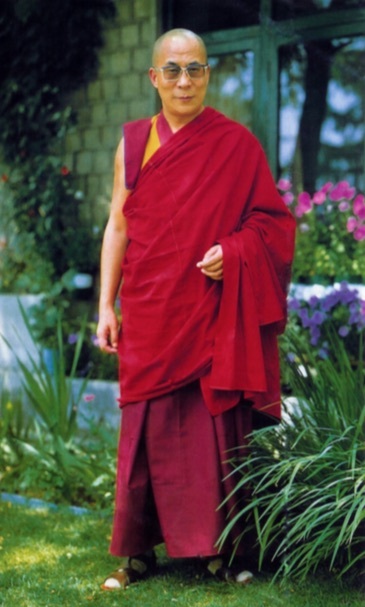 He will explain how spiritual practices and meditation play a role in Tibetan Medicine. Mempa (Doctor) Youlha Tsering graduated from the Qinghai University Tibetan Medical College in 2003 after completing a five-year degree in Tibetan Medicine. After graduation, Mempa Youlha practiced for a year in Lhasa at a clinic specializing in musculoskeletal injuries and disorders. He then traveled abroad and founded the Yuthog Clinic in Kathmandu, Nepal. During his stay in Nepal, he volunteered nearly a year of his time as a physician in one of the most remote areas of the country before traveling to India to continue advanced medical studies. His training and experiences have given him a deep knowledge of Tibetan herbs, Tibetan methods of diagnosis, physical therapies such as moxibustion, Ku Nye massage, and “Golden Needle Therapy”. After coming to the United States, he continued to study a variety of massage therapy and bodywork training in Conway, MA and Asheville, NC, and has been licensed as a Massage Therapist. Mempa Youlha has had a life-long dream of acting as a bridge between cultures and between medical traditions. With a solid foundation on Tibetan medical knowledge, Youlha still actively seeks out new ideas and new ways of understanding lifestyle needs and individual diets to effectively address the mental and physical well-being of his patients. 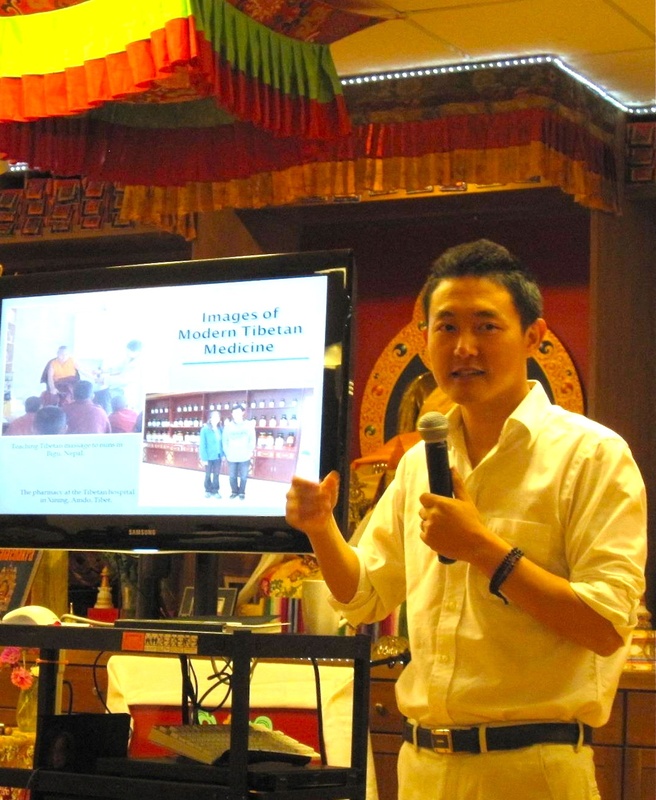 His professional presentations included: Tibetan Perspectives on Pathology and Wellness, Promoting Health by Decreasing Negative Emotions, and Tibetan Medical Perspectives on Arthritis. 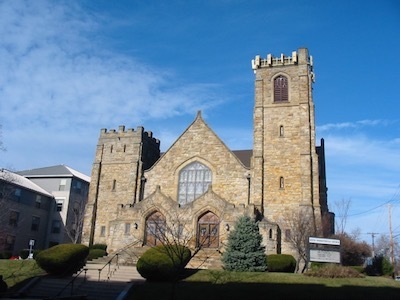 This presentation at the Sixth Presbyterian Church in Squirrel Hill is free to the public. Donations to support Three Rivers Tibetan Cultural Center‘s educational events are heartily appreciated as always. During his 3-day visit to Pittsburgh, Mempa Youlha is also available for individual consultation on May 25-27, Friday through Sunday at TRTCC, located at 7313 Florence Avenue, Pittsburgh PA 15218. If you are interested in scheduling a consultation please send us a message to threeriversdharma@gmail.com with your full name, phone number, and preferred time. Thank you.